Yes, it is very much like the famous “burning ring of fire” in that song. The song was about syphilis, and now your X-Box 360 has got it. The answer while seeming fairly obvious is in fact a very difficult procedure to undertake. The whole problem with your dysfunctional X-Box 360 is that there was a breakdown in the whole thought process for the construction of your particular model. 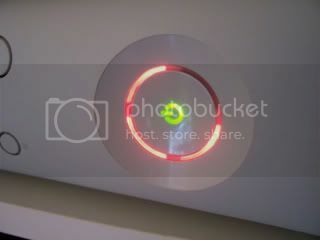 X-Box360 engineers and programmers failed to realize that if they didn’t want their products to get a “red ring of death,” then they should not have built the console with a red light in the first place. Why would you build a red light? This is an unbelievable concept. Why would you build a product that you were preparing in advance to fail? You might as well build in a jack-in-the-box that pops out with a sign that says “you’re fucked.” After all, we are talking about Microsoft here. For a complete list of steps for fix your “Red Ring of Death” X-360, please see Appendix B. Red lights should be banned. I mean, seriously, think about it. If they banned red lights, not only would you never get a red ring of death, but you’d never get stuck in traffic waiting for a red light! Who’s with me on this? Let’s start a petition! Ban red lights! It like the ring of fire that Johnny Cash sung about. Things with red lights/rings of fire!